We welcome the return of the fine young band, RUNA for their second appearance at Caltech. Led by step-dancer, Shannon Lambert-Ryan, who was nominated for Best Female Vocalist (individual/traditional) in the 2012 and 2013 Irish Music Awards, RUNA was nominated for Best Song in the world/traditional category, for Amhran Mhuighinse (Somewhere Along the Road), at the 12th Annual Independent Music Awards. These excellent musicians hail from Ireland, Canada, and the United States. “There is truly a mystical quality to their playing. They create a lyrical sound that is at once unique as well as seamless,” writes Lori Lander Murphy of Irish Philadelphia. 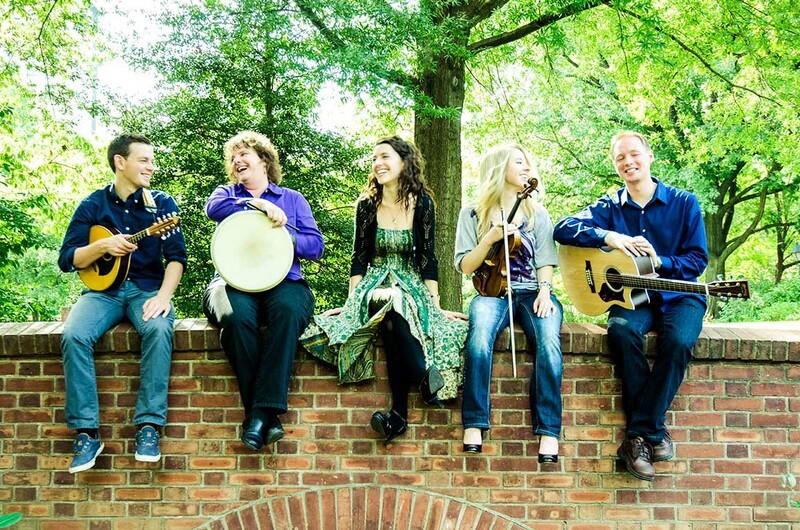 RUNA draws on the diverse musical backgrounds of its band members and offers a contemporary and refreshing approach to traditional and more recently composed Celtic material. Through their repertoire of both highly energetic and graceful, acoustic melodies, along with their fusion of music from Ireland, Scotland, Canada, and the United States, this vocal and instrumental ensemble gives its arrangements of traditional songs and tunes a fresh sound. We say, don’t miss them!